The Great Wall of China, one of the greatest wonders of the world, was enlisted in the World Heritage by UNESCO in 1987. Just like a gigantic dragon, the Great Wall winds up and down across deserts, grasslands, mountains and plateaus, stretching approximately 8,851.8 kilometers (5,500 miles) from east to west of China. With a history of more than 2000 years, some of the sections of the great wall are now in ruins or even entirely disappeared. However, it is still one of the most appealing attractions all around the world owing to its architectural grandeur and historical significance. Badaling Great Wall, the most representative part, was promoted as a key national cultural relic, protected under the approval of the State Council in 1961. In 1988, it was enlisted in the World Cultural Heritage Directory by UNESCO. July 7, 2007 has once again witnessed the worldwide reputation that the Great Wall gained: it was listed among the New Seven Wonders of the World. 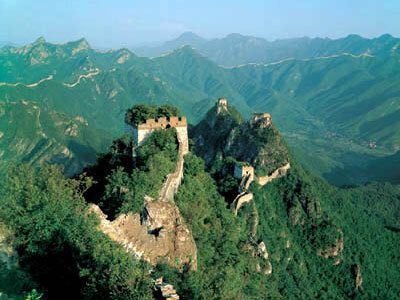 Badaling Great Wall is situated in Yanqing County, over 70 kilometres (43 miles) north of Beijing. It is the most well-preserved section of the Great Wall, built during the Ming Dynasty (1368-1644). This section with an average altitude of over 1,000 meters (3,282 feet) is the outpost of the Juyongguan Pass. The mountain slope is very steep and the roads are tortuous. These features made it a military stronghold. 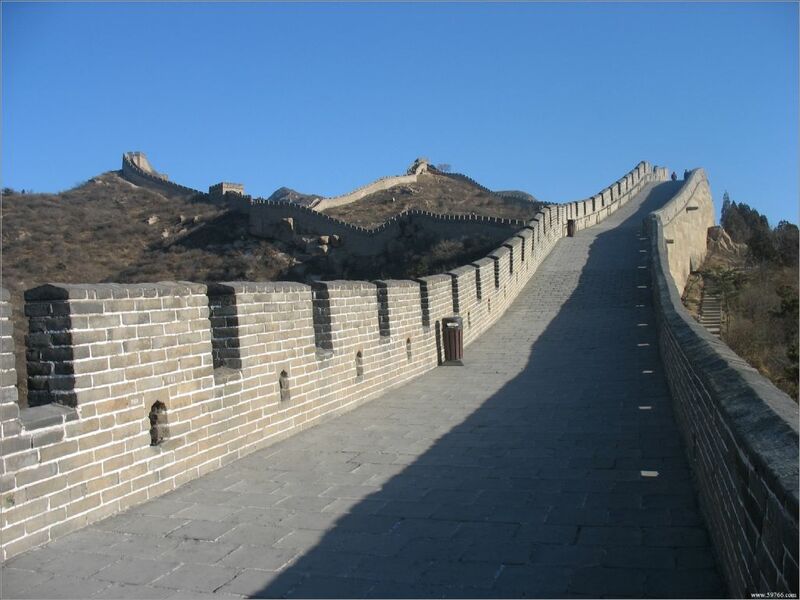 Badaling Great Wall is like a strong dragon winding its way along the mountain ranges. Most parts of the preserved Badaling Great Wall were built and reinforced during the Ming Dynasty to defend the capital against the intrusion of these Mongolian people. The structure of the wall consists of huge bar-stones and bricks. The inside of the wall has been formed by tampering earth and small stones, which makes the wall very firm and strong. Internally, the wall is about six meters (20 feet) wide, which would allow horses to gallop five abreast. A number of small holes have been drilled on the wall to allow archers to shoot arrows. There is a barrel-drain and a moat both inside and outside the wall. In a word, military fortification has been paramount in the consideration of every wall detail. Mutianyu Great Wall winds 1.4 miles through lofty mountains and high ridges, many sections of which are made of granite. The unique structure makes the wall almost indestructible. It measures 23 to 26 feet high and four to five yards wide. Both of the walls inner and outer sides have parapets to defend against enemies coming from the two sides. Some parapets are saw- tooth shaped instead of the regular rectangular form. Below the parapets, there are square embrasures the top of which are designed in an arc structure, different from the traditional round embrasures. There are 22 watch towers distributed at close intervals along the wall. They are located not only in the main wall but also at the distinctive branch cities. Branch cities are built on the hill ridge against the inner or outer side of the wall. They measure from several yards to dozens of yards across. On the northwest over 3,281-feet hills, lies a section of the wall called Ox Horn Edge. On the steep and lofty peaks, there are two walls named Flying Eagle Flies Facing Upward and Arrow Lock. What is more rarely seen on the southeast side is a general gateway platform guarded by three watch towers together. In locations of strategic importance, batteries are set up to reinforce the defense capabilities. Mutianyu Great Wall really deserves to be the archetype of the ten thousand li Great Wall. Whats more, the national first-rate cable car is installed in Mutianyu Great Wall. A sled named Speed will give you an opportunity to experience thrills by taking you swoop down from the high mountains. China Stone City collects weird and beautiful stones, attracting more and more visitors to come and see. Huanghuacheng Great Wall is also well worth visiting. It was built in the Ming Dynasty (1368-1644), located at Jiuduhe Town, Huairou District, 65 kilometers (40.39 miles) from Beijing City. This section of the Great Wall at 10,800 meters (about 6711 miles) long is a resort with mountains, lakes and the ancient Great Wall. When summer comes, the entire village under the Huanghuacheng Great Wall is immersed in a sea of yellow wild flowers (Yellow flower is huanghua in Chinese). Consequently, this village got the name Hunghuacheng, and this section of the Great Wall is called Huanghuacheng Great Wall. 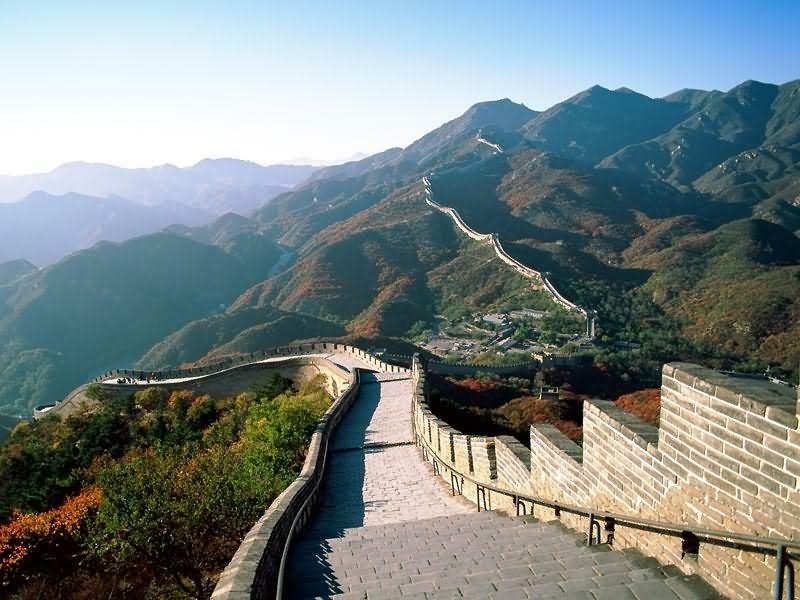 Juyongguan Pass, located 20 kilometers (12 miles) north of Changping County, about 60 kilometers (37 miles) from Beijing, is a renowned pass of the Great Wall of China. Enlisted in the World Heritage Directory in 1987, it is a national cultural protection unit. 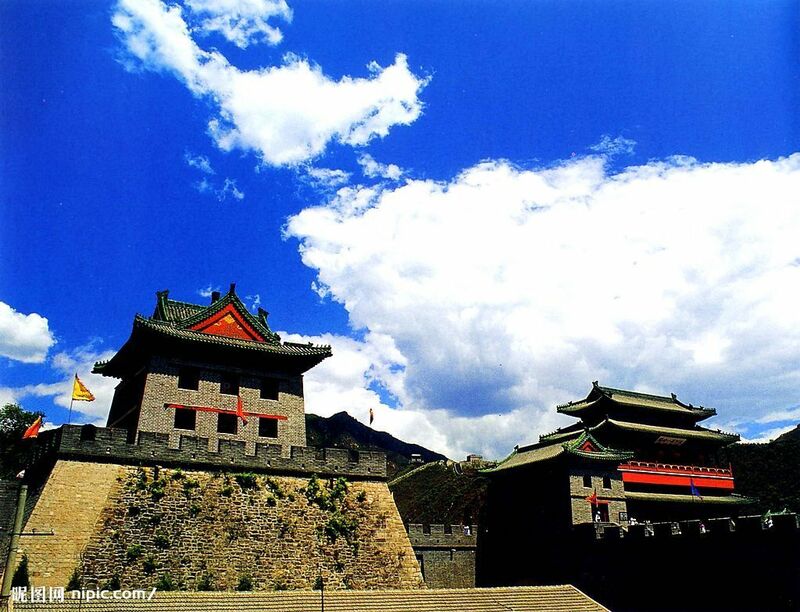 Situated in a valley surrounded by mountains, Juyongguan Pass has long been a military stronghold. As early as the Spring and Autumn Period (770BC-476BC) and Warring States Period (476BC-221BC), the Yan State built fortifications here. In the Northern and Southern Dynasties (386-589), this section was linked to the Great Wall of China. This pass served as a natural barrier to the capital of Yuan (1271-1368) and Ming (1368-1644) Dynasties. Therefore, immediately after the founding of his reign, Zhu Yuanzhang, the first emperor of the Ming Dynasty, ordered the pass to be rebuilt to protect the borders from intrusions of the Mongolian tribe. Many fierce battles were fought in Juyongguan Pass of Great Wall. 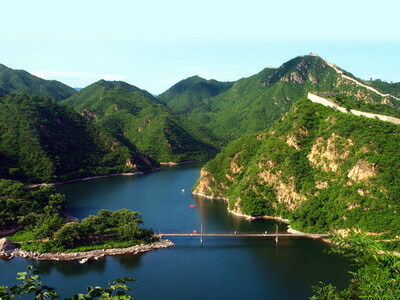 Juyongguan Pass is not just a military stronghold, but also a beautiful scenic spot. Around the pass, beautiful flowers and lush trees dot the mountains. A splendid picture! 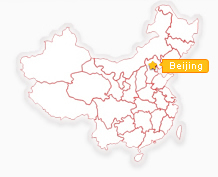 As early as the Jin Dynasty (1115-1234), it was named as one of the eight best scenery of Beijing. 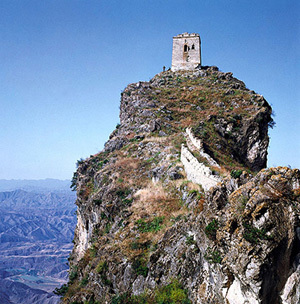 The Simatai Great Wall is celebrated for its steepness, queerness and intactness. The main tourist attractions include the Stairway to Heaven, the Fairy Tower, the Heaven Bridge and the Wangjinglou Tower. The eastern part of the Great Wall has 15 watchtowers and was constructed on the steep ridge of the mountain. It looks like a winding dragon jumping out of the lake. There tourists can appreciate the Stairway to Heaven, the Fairy Tower, the Heaven Bridge and the Wangjinglou Tower.